A’s Auto and Truck Repair performs maintenance and repair on all types of automobiles and trucks. Factory scheduled maintenance, fleet maintenance, computer diagnostics, tires, machine shop services, A/C service, and reefer work are just some of the services we provide. 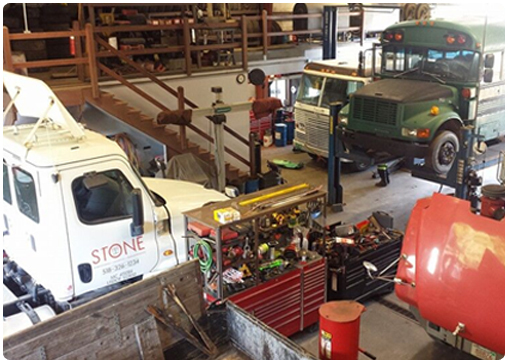 Our full-service light- and heavy-duty repair facility has three truck bays, two medium-/light-duty bays with a 15,000-lb. four-post lift and alignment rack, a 15,000-lb. two-post lift, two mobile truck lifts, TIG, MIG and arc welders, Bridgeport lathe, head planer, flywheel turner, coolant and transmission flush machines, multiple types of parts cleaners and hot tank with a wide variety of parts in stock.